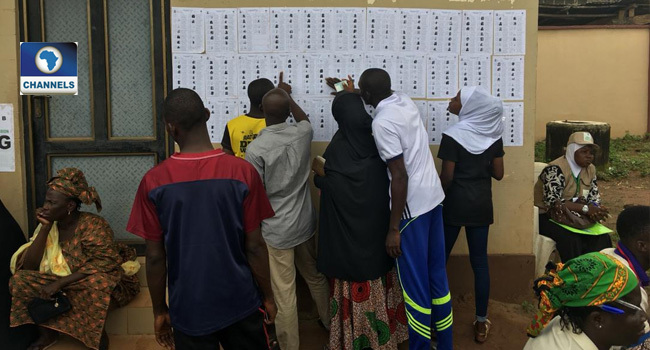 The Independent National Electoral Commission (INEC) says it has identified the names of 1,224 deceased persons in its 2019 general elections voters register in Adamawa State. Adamawa State Resident Electoral Commissioner, Kassim Gaidam disclosed this on Friday during the opening of a two-day workshop for North East Zonal implementers on election monitoring and support in Yola, the Adamawa State capital. Gaidam said the statistic was uncovered following the recent display of voters’ register for claims and objections conducted by the Commission which he describes as successful. “In Adamawa State, the exercise was successful and had the following outcome. We registered 2,113 claims and also 1,588 objections out of which 1,224 were names of deceased persons that are supposed to be removed from the voters’ register. The workshop is part of preparations for the 2019 general elections developed by INEC to ensure that all activities are implemented as a single coordinated plan. Also at the event is Mr Fadare representing European Centre For Electoral Support (ECES) said the EU is proudly supporting INEC’s laudable initiative which aims to ensure a free, fair and smooth conduct of elections in the country.